The hottest season of the year also brings with it a new set of challenges for those of us seeking to grow and maintain a lush, green lawn. 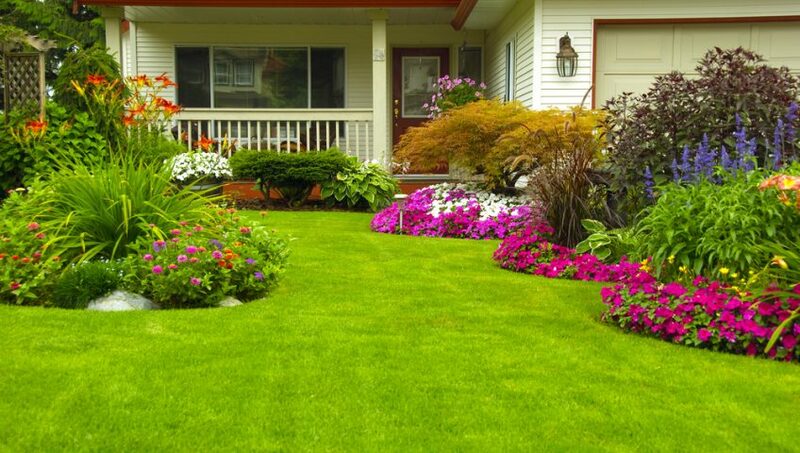 However, with some clever planning, you can maintain a healthy and lush lawn this summer. As the temperature rises, it can become increasingly difficult to efficiently maintain your lawn without careful preparation. A lawn can only last so long without adequate irrigation, before going dormant, and the delicate blades are particularly challenged during hot dry spells. You can further protect your lawn by leaving a little length when mowing. Cutting grass at a higher setting, preferably 3 inches, will allow for soil and roots to be shaded more. In turn, this allows for your lawn to thrive on less water for longer, not only helping protect it, but also helping you to conserve water and minimize maintenance. Leaving grass clippings on your lawn is another method of minimizing maintenance without sacrifice. Instead of cleaning up grass trimmings, leaving them in place to decompose will allow for nutrients to recycle back into the earth, reaching the roots and strengthening them. This will help increase water and nutrient retention, enabling your lawn to work harder for you! 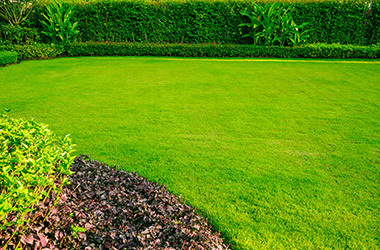 It might sound like a huge sacrifice, but consider the fact that smaller lawn areas are easier to maintain. If you’re struggling to efficiently maintain your patch of greenery due to a busy schedule and can’t seem to keep your grass healthy, downsizing could be the ideal solution. Replacing sections of your lawn with planters full of drought-resistant plants such as will allow you to dramatically cut back the amount of time and energy required to maintain your lawn, and it will also allow for an added dash of colour to your yard. Enhance your xeriscaping and flower beds with mulch, rustic river rock, or crushed stone delivered in a convenient Blue Cube. With less grass to mow, fewer spots to check for pests, and a shorter amount of time required to water, it’s a win-win situation! Investing in drought-resistant sod or seed is another fantastic way of better maintaining your lawn, as these alternatives require far less work to keep them looking beautiful and vibrant. There are several options available depending on your climate, including Manderley’s own Less Water, Premium, and Blue+Fescue Sod, or Manderley Less Water Grass Seed Blends. Each of our available products offer different benefits, including reduced watering and irrigation requirements, better durability with greater tolerance to high traffic, superior cold hardiness, and the ability to better flourish in partial shade to full sun areas. This is ideal if you have an older lawn that takes more work to maintain, as upgrading will allow for less time spent tending to your lawn, allowing for more time to spend enjoying it while the weather remains beautiful. Many of us don’t consider the work and regular maintenance required to keep a lawn healthy and looking great, including watering, mowing and fertilizing. With these methods, you can not only more efficiently maintain the lawn of your dreams, but also have more free time to spend making summer memories!